The distance from Melbourne to Sydney is less than 1,000 kilometers, but the drive passes through some of the most scenic parts of Australia. This leg was the last part of our road trip. After three months in a camper van we were eager to complete The Big Lap. However we did make a few stops along the way, including in Canberra, the capital of Australia. In Melbourne, we savored the city’s unique culture. After experiencing all the other major cities in Australia, Melbourne stands apart. 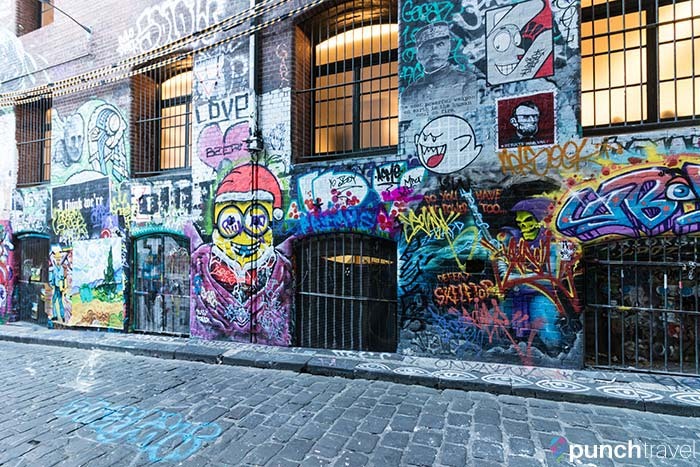 It is like the cool, older brother – letting you in on the laneway cafes, hidden speakeasies and underground art scene that makes Melbourne great. We wished that we could have spent more time here, but unfortunately we had to continue on our journey. To get to Sydney from Melbourne there are two route options: the inland route on Highway M31 or the coastal route on Highway A1. The coastal route is obviously more scenic, but will add about 3 hours to your drive time. 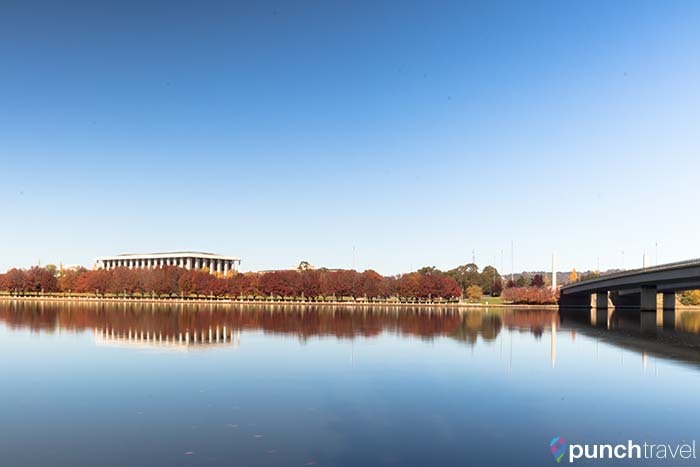 Detour off the coast to visit Canberra, the nation’s capital. 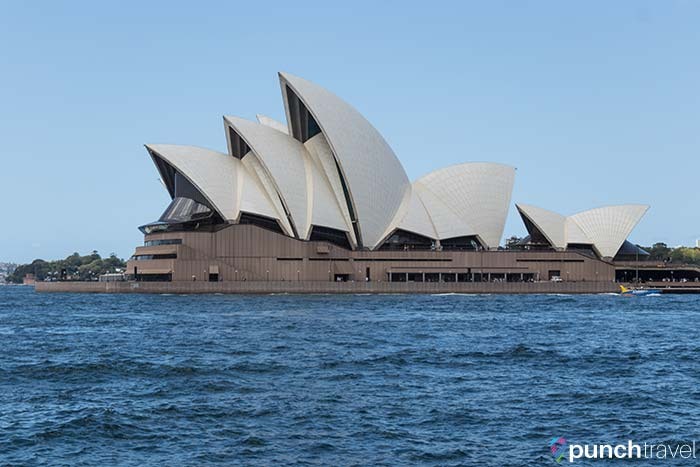 The city is small, but is an important place to visit to learn more about Australia. Driving back to the A1 from Canberra, the scenic drive known as the Grand Pacific Drive begins in the town of Nowra. Follow it for a picturesque views all the way to Sydney. 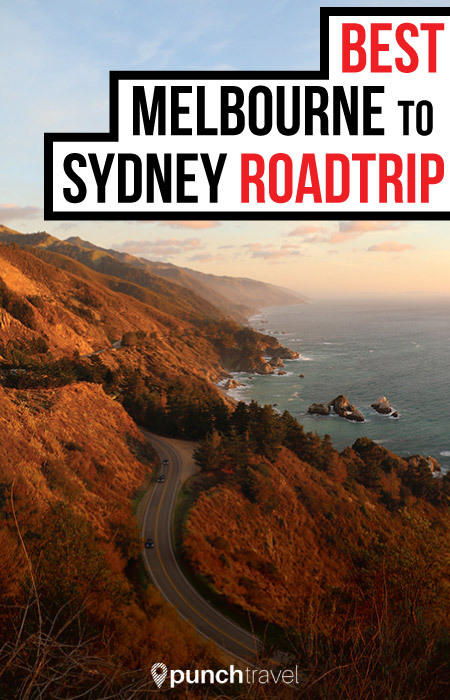 Here are our recommendations for where to stop on a drive from Melbourne to Sydney. Of all the capital cities in Australia, Melbourne stands apart. It feels the most European, with its historical buildings, small coffee shops, and back alley haunts. Don’t miss the Australian Center for the Moving Image, an interactive museum dedicated to film, television, video games and digital culture. A hidden gem, the Gippsland Lakes area consists of a network of waterways separated by coastal dunes known as Ninety Mile Beach. The diverse ecosystem is home to many varieties of birds, as well as dolphins and seals. 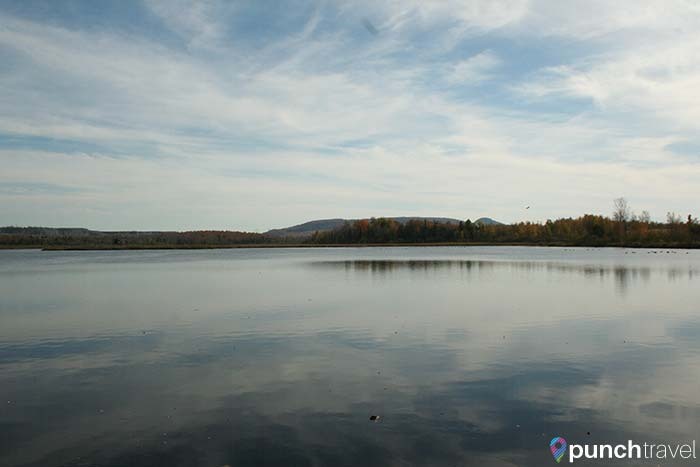 Spend time enjoying the walks, scenery, beaches and peaceful atmosphere. 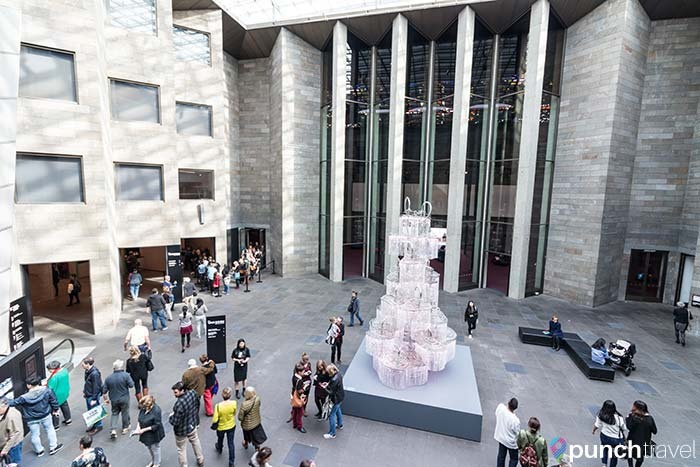 Australia’s capital is brimming with museums, art galleries and other cultural establishments to tickle your brain. 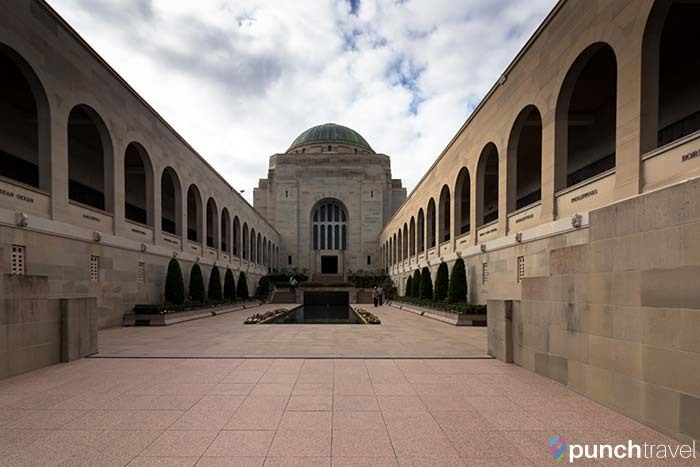 Don’t miss the impressive Australian War Memorial for a comprehensive exhibit on Australia’s role during both WW and other military engagements. This seaside suburb of Sydney is an excellent place to take advantage of the beach without the crowds. Wollongong is also home to Nan Tien Temple, the largest Buddhist temple in the Southern hemisphere. 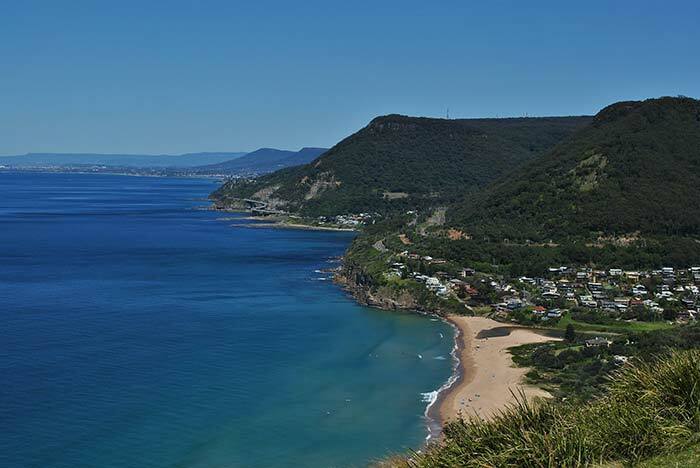 From Wollongong, take the Grand Pacific Drive to Sydney. The drive takes you through coastal rainforests and seaside cliffs. Fun-loving Sydney is one of the most popular places to visit in Australia and it’s easy to see why. The neighborhoods of its once seedier penal colony past have now given way to hipster neighborhoods that rival Brooklyn. You’ll find the best bars and restaurants in neighborhoods like The Rocks and King’s Cross. Hop on a day cruise or ferry from Darling Harbor and Circular Quay to see the sparkling city at its best.